Contrary to popular belief, sewage backups can cause a large amount of damage to a property. Toilet water overflows can cause property damage, pipes can become backed up causing them to work improperly, the list goes on. On top of that, it can be a serious risk to the health of those exposed to it. When dealing with sewage water, it’s important to take care of it sooner rather than later. 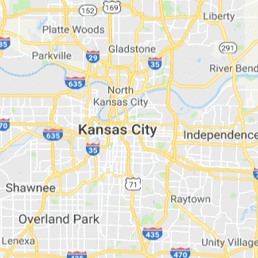 Kansas City Metro, Overland Park, Springfield and surrounding area property owners have access to a highly trained water restoration company — 911 Restoration. 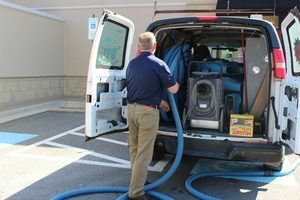 The sewage cleanup techs are available 24/7, 365 days per year to provide restoration services and help ensure the safety of those who inhabit the property. At 911 Restoration of Kansas City Metro, sewage removal is not a job we take lightly. The highly trained IICRC technicians know that there’s always the potential for toilet water damage to contain harmful bacteria. For this reason, property owners can expect the tech to arrive onsite within 45 minutes of their phone call. After their arrival, the techs will begin assessing the damage in order to determine what caused the sewage backup. Once the damage has been assessed, necessary sewage removal techniques will be applied and your property will be on the path to a Fresh Start. When it comes to providing restoration services, your safety is our number one concern. For this reason, property owners can guarantee the techs will leave no stone unturned. While 911 Restoration of Kansas City Metro’s techs are originally hired to provide sewage backup cleanup, we go the extra mile but creating a meaningful relationship with each customer. We treat each property as if it were our own, and truly care about your safety. Your Fresh Start is just one phone call away. Call 911 Restoration of Kansas City Metro today! When sewage backups strike, it’s important that the water isn’t allowed to sit. The longer the issue is left unattended to, the worse it will get. So, responding immediately will save you time and money in repairs. As you can tell, damage to pipes can happen for a variety of reasons. Most property owners initially think of toilet water damage when sewage issues occur. However, it’s important to get the help you need from an experienced sewage restoration company. 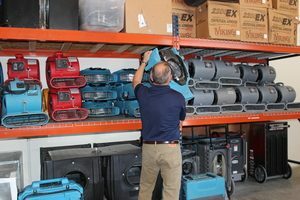 911 Restoration of Kansas City Metro’s techs have the knowledge, training and equipment needed to completely restore even the worst water damaged properties. Get the sewage removal services you deserve, contact 911 Restoration! In addition to providing sewage backup cleanup and restoration services, the techs will file the insurance claim for property owners to help ensure you receive the highest claim possible. Get your property the Fresh Start it deserves by contacting 911 Restoration of Kansas City Metro!